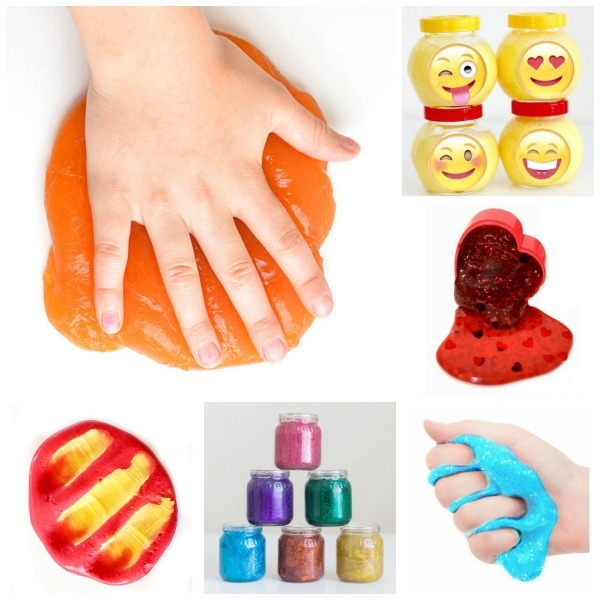 If you have school-aged children obsessed with slime (like mine) then this eraser slime is the activity for you! 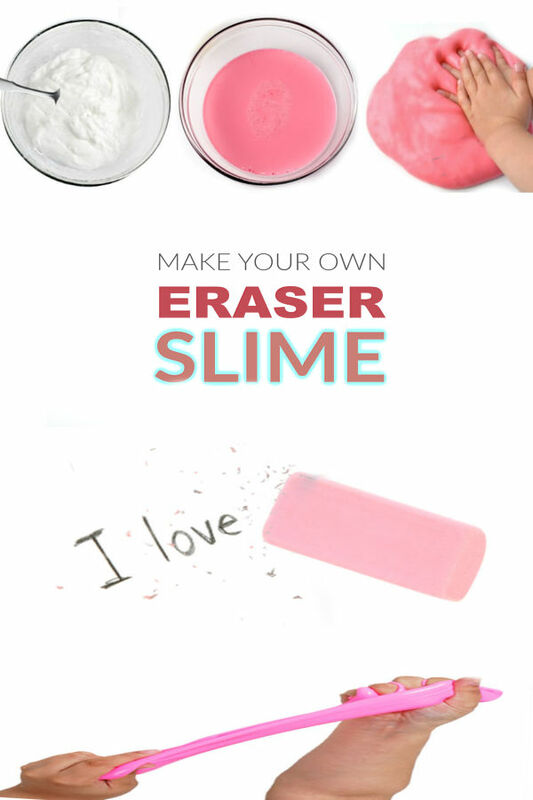 Make slime at home that really erases! How cool is that? My girls were truly WOWED by this slime recipe. They have been having a blast using slime to erase their homework mistakes, too! 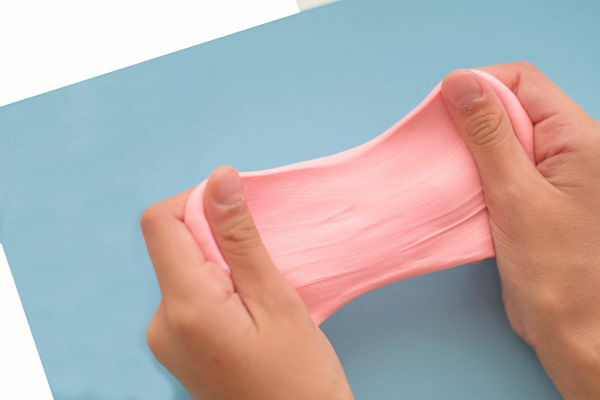 Are you ready to make eraser slime? 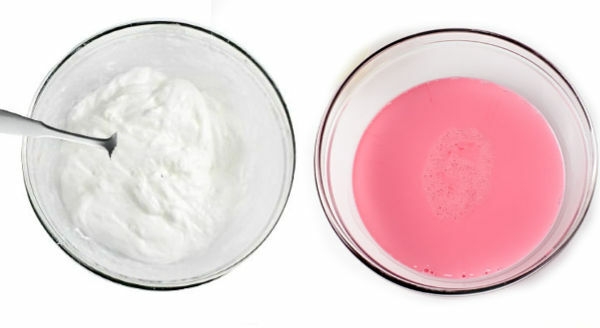 Begin by combining equal parts of Elmers PVA glue & corn starch into a large mixing bowl. Add the baking soda & mix well. Add 1 drop of food coloring if color is desired. Too much will cause the eraser slime to leave marks behind. 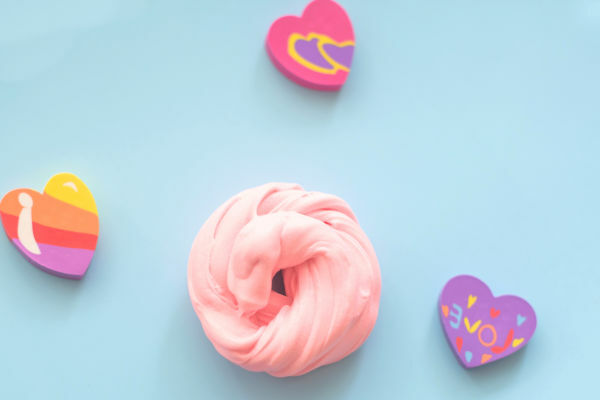 We used one drop of neon pink food coloring, and that gave us the perfect "eraser pink" color. Now, slowly begin to add saline solution a drop at a time and mix, slowly adding more solution and mixing until the desired consistency is reached. If the slime is too sticky add a bit more saline solution & mix it in. 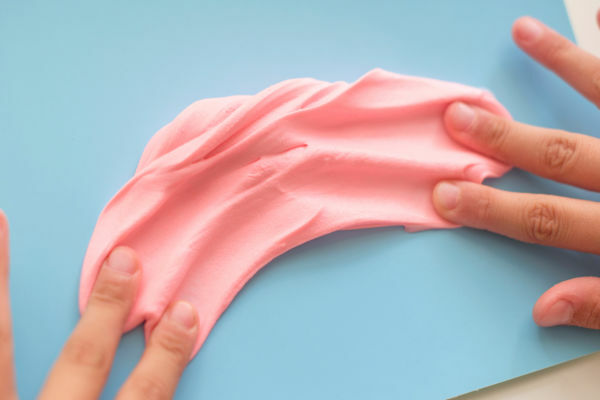 After a bit more mixing & kneading you will have super stretchy, eraser slime! This slime turned out so fun! It is ultra stretchy rather than oozy, and it really erases! Too cool, am I right? My girls thought it was so cool that they asked to make some for their classes. Hmm. 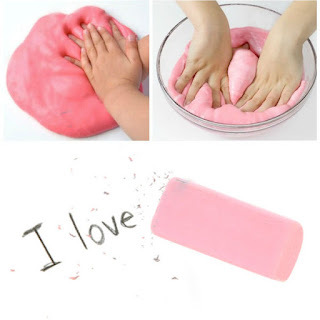 Maybe we will give out eraser slime valentines. So fun! 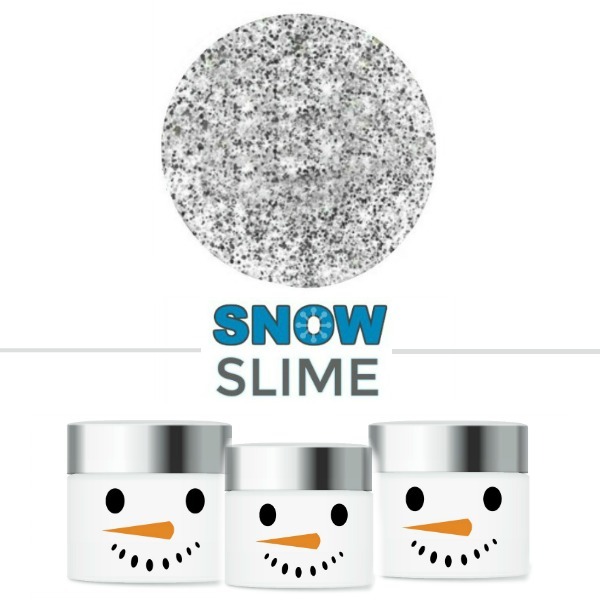 Store your slime in an air-tight container between uses & it can be used again & again! For this recipe it is important to use Elmers school glue. Using a different brand of white glue may yield different results. We buy our Elmers glue in bulk on Amazon here. For this recipe you can use eye drops or contact solution as long as it contains boric acid or . If it does not contain these ingredients the slime will not work. 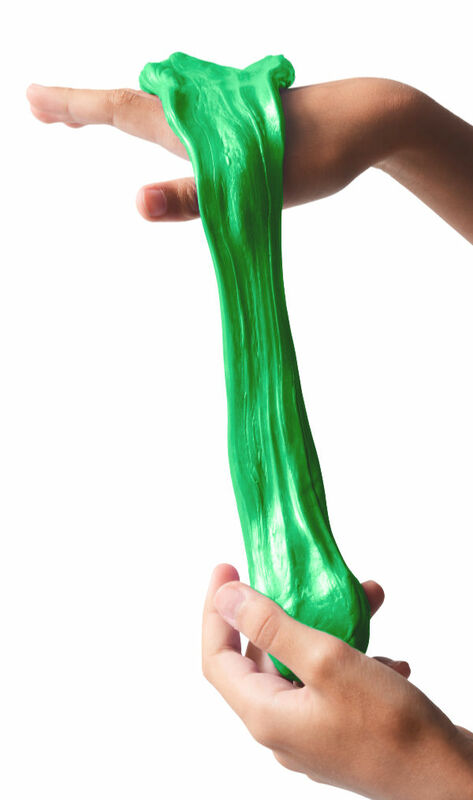 The trick to getting the right consistency with this slime is to add saline solution slowly & mix. The saline solution that we used can be purchased here. If the slime is too runny/sticky you need more saline solution.